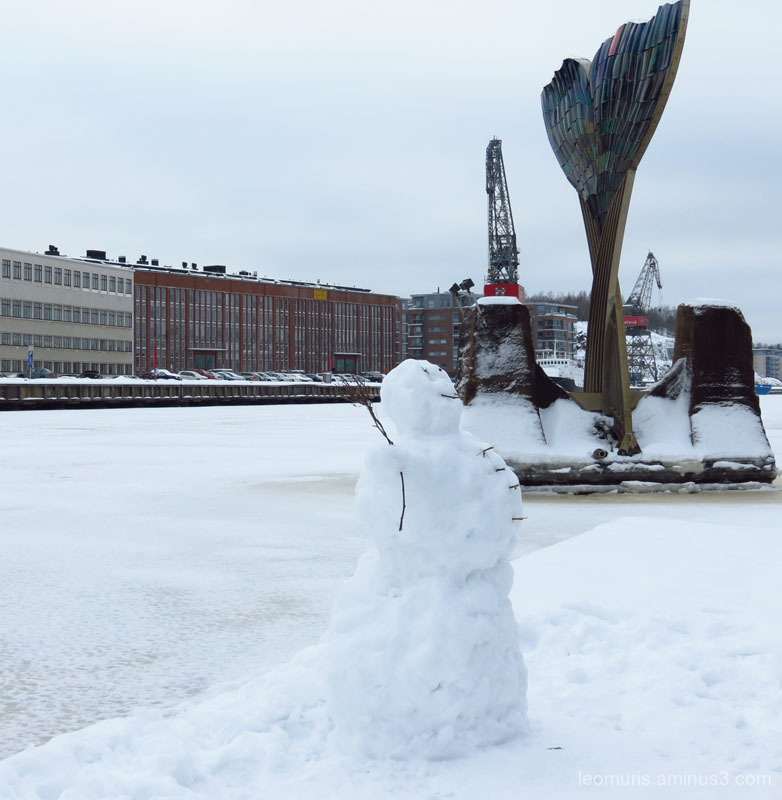 Jypyä Pop (Turku, Finland) on 10 February 2019 in Miscellaneous and Portfolio. yes that snowman looks so happy smiling there !!! Lovely shot ! Ah, yes, I can feel the happiness as well as the cold ! Oufti ! trop froid ! tempête chez moi, ce n'est pas agréable non plus. Bon dimanche. @Marcel P.: I agree, the storm is not very fine thing..-. Smiles given always smiles back. Really pretty smilemaker. Très beau ce bonhomme de neige ! Superb capture of the smiling snowman ! I like the snowman! But the sculpture that looks like a fish tail is wonderful! @MEC: Thank you. That sculpture shows a whale tail and its name is Harmonia. This makes me smile, he looks so happy!!! A happy snowman who enjoys the cold weather. What a fun shot of this smiling snowman by the river.